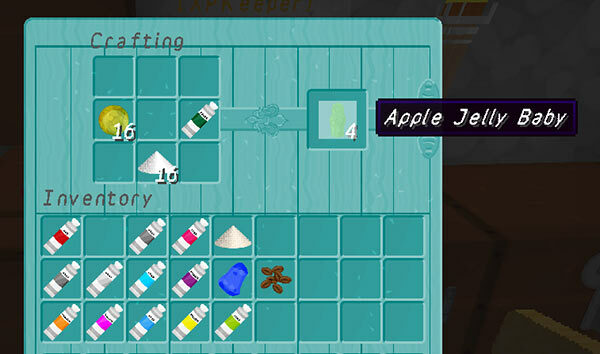 You can craft Whovian food items in-game so that you can eat like the Doctor. 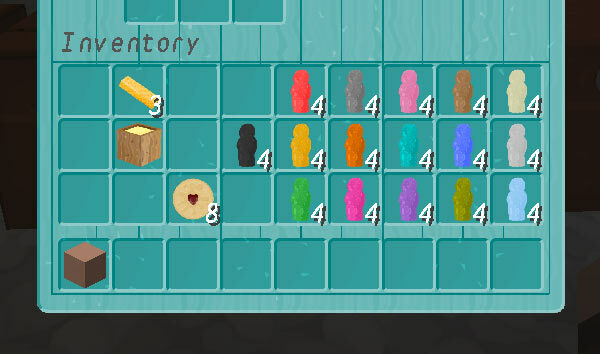 Each recipe gives 4 coloured jelly-babies, eating a jelly baby restores one hunger. 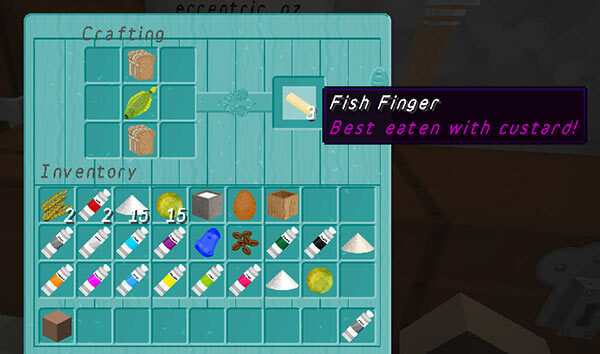 Each recipe gives 3 fish fingers, eating a fish finger restores 2.5 hunger. 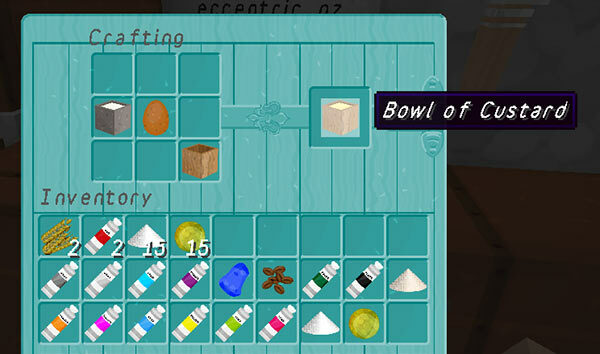 Each recipe gives one bowl of custard, eating custard restores 3 hunger. 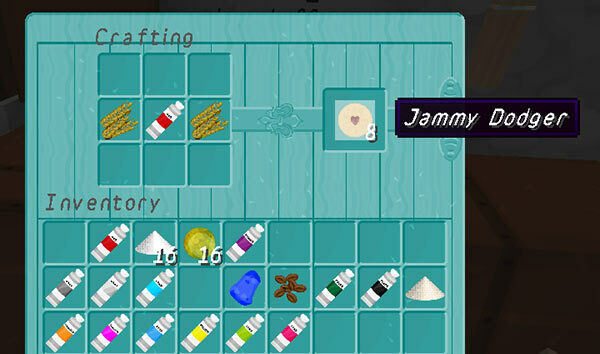 Each recipe gives 8 Jammy Dodgers, eating a Jammy Dodger restores 1 hunger. All the food items, including all 16 jelly baby flavours.